Lise Matthews originates from Denmark and brings with her healthy Scandinavian eating and living habits. She now lives and practises in Wales since 2002. She had a career within documentation and technical writing before becoming interested in complementary therapies during the 1990s. 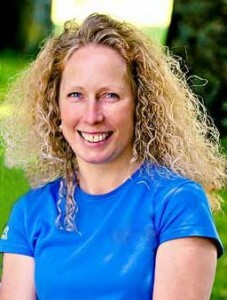 Lise is a qualified Bowen Technique practitioner since year 2002 and deals with all musculo-sceletal issues and complaints. Lise uses the muscle testing extensively to establish the cause and possible cures for presenting symptoms. She has extensive knowledge within natural medicine, and uses homeopathy, herbs, nutritional supplements, magnet therapy, meridians, chakras and Emotional Freedom Technique in her individual assessments of the correct treatment form. She is particularly specialising in digestive disorders, intolerances and diets and offers sessions together with other therapists in The Ark Clinic to give faster relief and more information to the patients. 2015 Collaboration with Amy Desborough from Eatwell Feelwell to offer focused ‘diet and digestion’ clinics at The Ark. 2015 Development of holistic treatment plans and started up The Nutrition Detectives with Amy Desborough. Lise has over the years also participated in courses and seminars in cranio-sacral therapy, chakras, meridians and reiki as well as continued professional development within nutritional management and the Bowen Technique, which she practises from The Ark. Lise is fully insured through Holistic Insurance services.